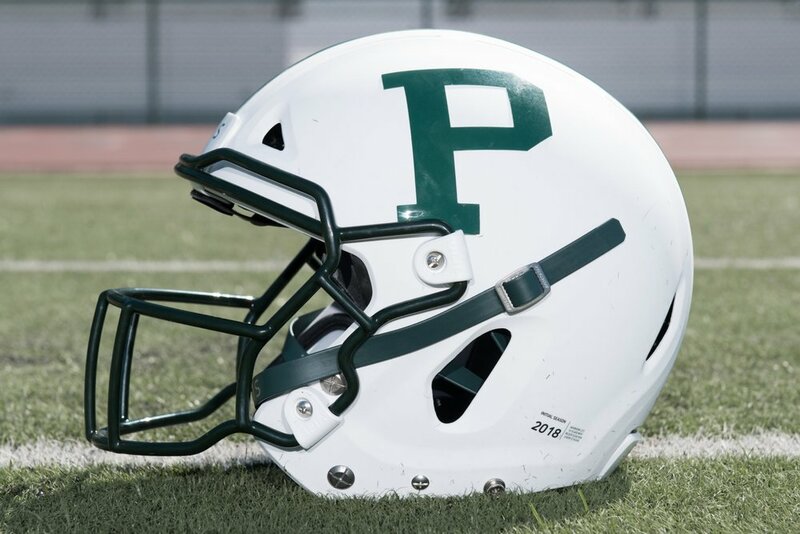 Palo Alto High School is continuing the tradition of football excellence, and we have the opportunity to take a monumental leap in football safety by addressing the game’s key piece of protective equipment: The Helmet. The VICIS ZERO1 is a revolutionary football helmet designed to reduce impact forces with both deflection and compression, and it is now available to high school football players. Palo Alto High School has a goal of buying 100 VICIS ZERO1 helmets making our school the safest football team in the Bay Area. For just $80,000, every football player at Palo Alto High School will take the field knowing that they are supported and protected. Paly Football needs your help to reach our goal. We welcome any and all support, and we are thankful and appreciative of your support. Go Vikings! Paly Level - I am willing to sponsor part of a helmet. White Level - I am willing to sponsor 1-4 helmets from $800 to $3,999. Green Level - I am willing to sponsor 5-9 helmets from $4,000 to $7,999. Viking Level - I am willing to sponsor 10+ helmets from $8,000 to $80,000. Please check the box if you are intending to pay with a check. Thank you for supporting Paly Football! If you are mailing a check, we look forward to receiving it. If paying by credit card, don’t forget to click the “Donate” button to complete your payment. Please click "SUBMIT", then click "DONATE" if you are paying with a credit card. Please consider donating by check as that helps us avoid fees associated with credit card payments. Otherwise, please consider donating an additional 3% to cover credit card processing fees. Thank you! Checks can be made out to "Paly Sports Boosters" and add "Football Helmet Fund" on the comment line of the check. Checks should be mailed to: Paly Sports Boosters, 50 Embarcadero Road, Palo Alto CA 94301.